You want to sketch what’s inside your imagination, but don’t have a pencil or paper? You want to play music, but don’t have a music sheet with you? Well, no worries. 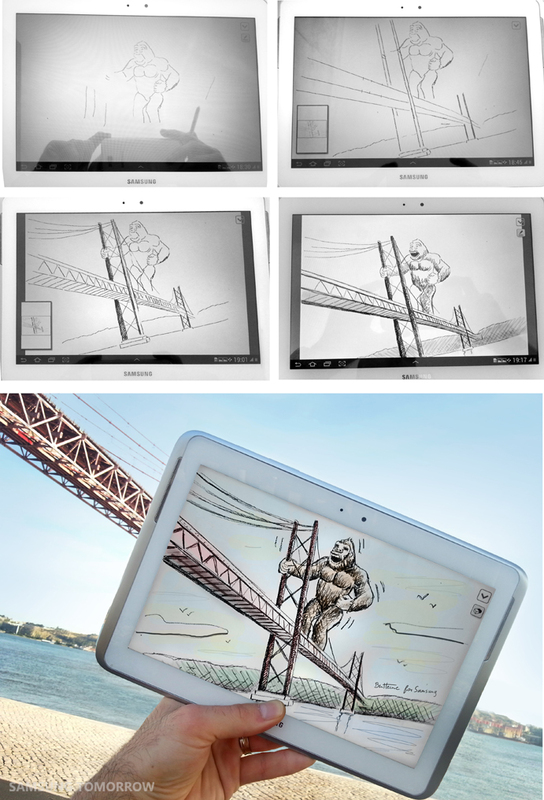 Now you can draw and play anytime at anywhere with GALAXY Note, GALAXY Note II or GALAXY 10.1. 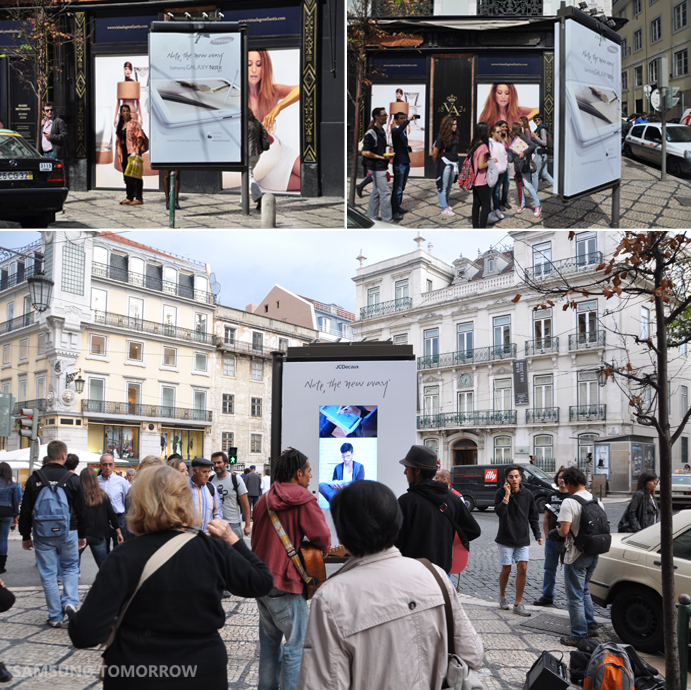 Samsung recently held some live events in Portugal and put together promotional videos showcasing all that GALAXY Note, GALAXY Note II and GALAXY 10.1 can do. Check out these videos, and maybe they’ll inspire you to become an artist yourself! You might not normally see people on the street seriously looking at an advertisement, but these people can’t take their eyes off the GALAXY Note 10.1 outdoor advertising. What’s happening there? The remotely-located artist, visible on the giant screen, is drawing people’s caricatures using GALAXY Note 10.1. while they watch him live on the screen. Afterwards, he can easily post into Samsung Portugal facebook the pictures as a special gift. Check out how great those pictures are through this video! The man in this video is Ben Heine, the Belgian artist who became famous for combining photography and drawing, fusing reality and imagination. 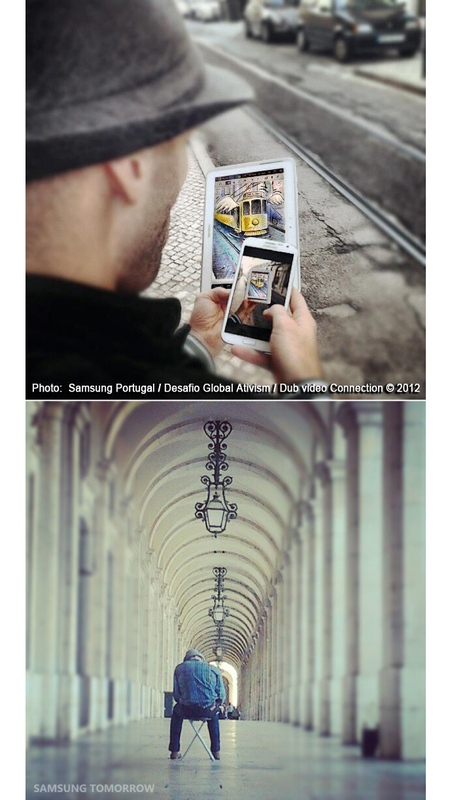 Using the GALAXY Note 10.1 and GALAXY Note II, he redrew Lisbon and countless other sights using photos from the digital camera and the S Pen. With the Samsung’s amazing artistic tool, he created fantastic pieces of art. Let’s check out what he’s created. Have you watched ‘Brussels Philharmonic plays music with GALAXY Note 10.1’ yet? Just like that, the Northern Orchestra and Symphonic Choir Ines de Castro through the innovative application + MUSIC (developed by Samsung Portugal) played music with GALAXY Note 10.1 as a replacement for paper sheet music. Not only that, but at the end several members of the orchestra and choir snapped photos of the audience and themselves. GALAXY Note 10.1 is definitely bridging the gap between art and technology. Check out the video below for the orchestra’s powerful performance.